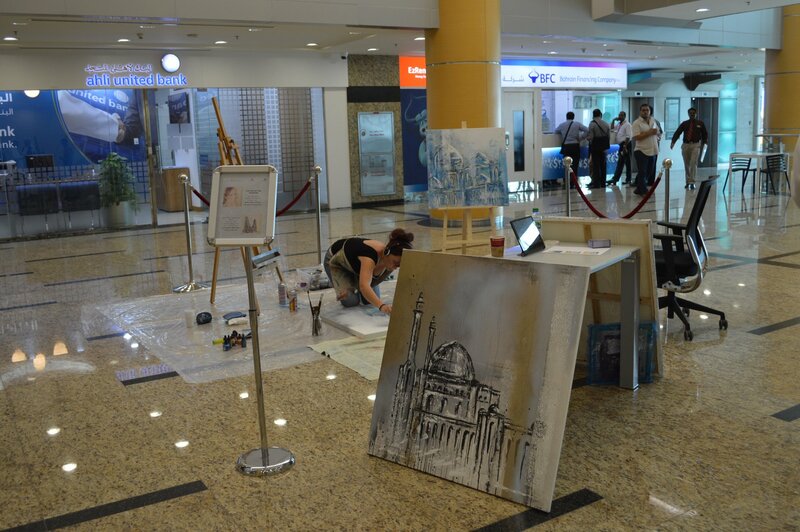 Minika is painting her magic to the canvas on the 2nd floor of the Harbour Gate within the Bahrain financial Harbour all this week. During August Minika will have a full Art exhibition starting at the Harbour West Tower and the transferring to the Harbour Towers East for a further 4 weeks. Come and say hello to her. 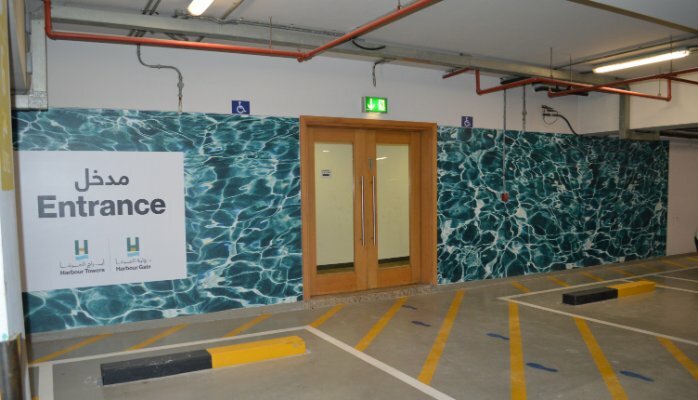 This Weekend our Facilities Company EFS have removed the Master plan model and i..
We have started to install new internal directional signage at the Harbour Gate ..